During Ramadan, the ninth month of the Islamic lunar calendar, Muslim faithful greet one another by saying, "Ramadan Mubarak." This greeting, which means "Blessed Ramadan," is just one traditional way that people welcome friends and passersby alike during this holy time. Ramadan celebrates the date in 610 C.E. when, according to Islamic tradition, the Quran was first revealed to the Prophet Muhammad. During the month, Muslims are called to renew their spiritual commitment through daily fasting, prayer, and acts of charity. It is a time to purify the soul, refocus attention on Allah, and practice self-discipline. Muslims believe Ramadan is filled with blessings to be shared with one and all, and it is appropriate to wish them well at the beginning of the month. Besides saying "Ramadan Mubarak," another traditional Arabic greeting is "Ramadan Kareem" (meaning "Noble Ramadan"). If you're feeling particularly eloquent, you may choose to wish your friends well by saying, "Kul 'am wa enta bi-khair," which means "May every year find you in good health." In addition to common Ramadan greetings, some expressions are frequently used among friends and family to wish them well. One of the most common is, "As you fast and offer prayers to Allah, may you find your peace and happiness. Have a peaceful and happy Ramadan!" Or the greeting may be simpler, such as "Wishing you all the blessings of the holy month." The words are less important than the intent and compassion behind them. The Quran, Islam's holy book, contains many quotes related to Ramadan and its observances. Sending quotes from the Quran to friends or family is one way to show your devotion to the faith. The choice of quote is a matter of personal choice. For example, if a friend is struggling with maintaining the fast, you could offer this quote from the Quran in support: "Allah is with those who restrain themselves" (Sura 16.128 [The Bee]). "As to the month Ramadan in which the Koran was sent down to be man's guidance and an explanation of that guidance, and of that illumination, as soon as any one of you observeth the moon, let him set about the fast; but he who is sick, or upon a journey, shall fast a like number of other days. 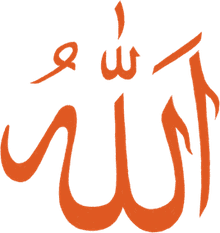 God wisheth you ease, but wisheth not your discomfort, and that you fulfill the number of days, and that you glorify God for his guidance, and that you be thankful" (Sura 2.181 [The Cow]). "Ye shall never attain to goodness till ye give alms of that which ye love; and whatever ye give, of a truth God knoweth it" (Sura 3 [The Family of Imran], verse 86). "Who give alms, alike in prosperity and in success, and who master their anger and forgive others! God loveth the doers of good" (Sura 3 [The Family of Imran], verse 128). "Those who turn to God, and those who serve, who praise, who fast, who bow down, who prostrate themselves, who enjoin what is just and forbid what is evil, and keep to the bounds of God & hell; wherefore bear these good tidings to the faithful" (Sura 9 [Immunity], verse 223). "Happy now the Believers, who humble themselves in their prayer, and who keep aloof from vain words, and who are doers of alms-deeds, and who restrain their appetites" (Sura 23 [The Believers], verse 1–7). The path of those to whom Thou hast been gracious; with whom thou art not angry, and who go not astray" (Sura 1.1–7). "Say: I betake me for refuge to the Lord of the Daybreak against the mischiefs of his creation; and against the mischief of the night when it overtaketh me; and against the mischief of weird women; and against the mischief of the envier when he envieth" (Sura 113.1–5 [The Daybreak]). 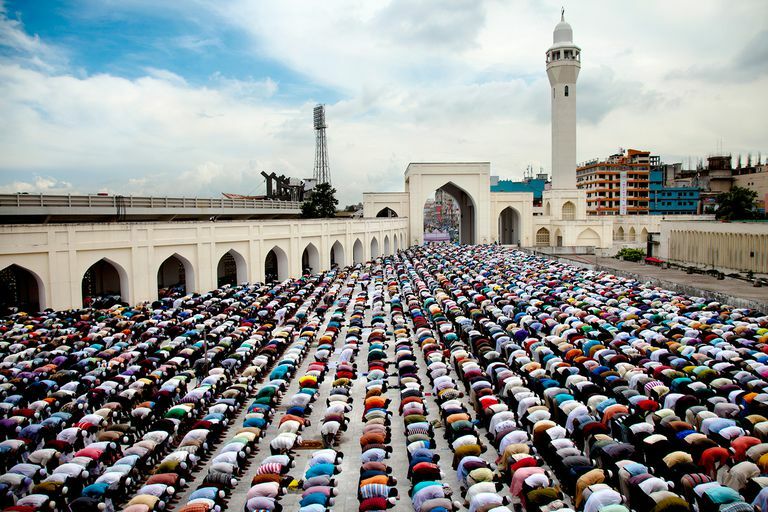 At the end of the month, Muslims observe a holiday called Eid al-Fitr. After reciting special prayers to end the final fast, the faithful begin their celebration of Eid. As with Ramadan, there are special greetings for welcoming your friends at Eid.